Apple is unusual in how it produces two different sizes of smartwatch instead of one. It's also admirable in how it refuse to describe them as the gents and ladies models but that's another story. What has to occupy you when you're looking to buy is just exactly how big they are and whether they will fit on your wrist. There is more to it than there is even with iPhones where comparing sizes can significantly aid your purchasing decision. With Apple Watch you also need to consider how big they are in terms of volume. If you've never seen one in the flesh before, you'll be surprised both how small they are and yet how quick thick and sturdy they are on your wrist. You do need to try at least one size on to get a true sense of the Apple Watch but here's the AppleInsider guide to Apple Watch sizes. Inside the PDF you'll find full-size photographs of both Series 4 and the previous generations and you can print them out to compare. Download the embedded PDF below, and print it out. We've got a scale on each page that you should measure after you print, as characteristics of printers and drivers can vary somewhat. Scale accordingly. Perhaps for you, but the Chinese market wants larger phones and they make up a large percentage of Apple phone sales. This is such a huge difference on the body and screen. When you compare the new AW the old one, it looks like a cheap Chinese knock off. Can't wait to get mine! 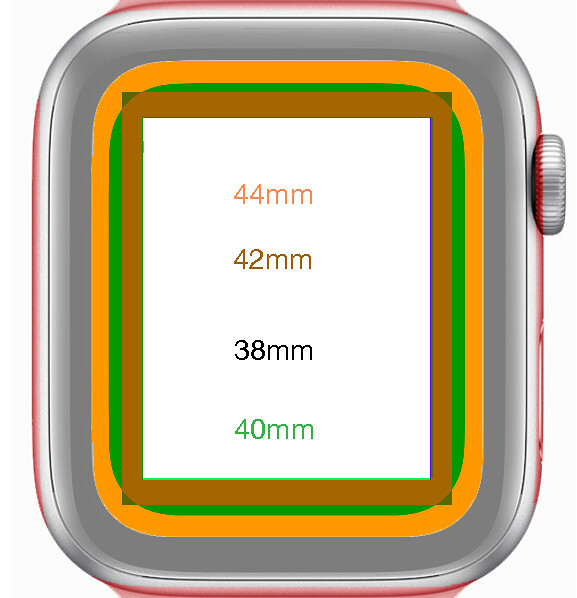 This is how it stacks up, the red areas are how much larger the 44mm is compared to the 42 ... it definitely makes the watch look larger. My experience w/ the AW0 was they sounded and looked much bigger on paper. IRL they were smaller than expected. I returned a 38 for a 42 once I saw it in person. When I click the link - "This document has been removed from Scribd." There are some scattered AWS issues today that are affecting Scribd and some other providers, so so says Scribd, at least. The file is available -- you may just have to try again later. How can i post a picture here? I think you could have argued the same point before this new watch, given that the size change isn't really much in the picture you used. It's also worth noting that with the Apple, you're including the whole thing, minus the strap. 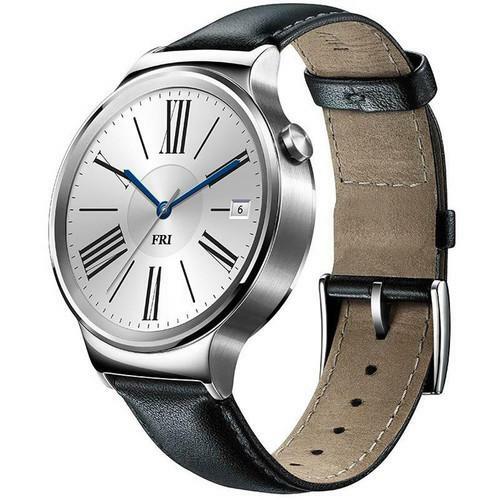 With the Huawei, you aren't including the additional top and bottom metal that's on the actual watch before the strap starts, and that looks to be substantial. Also, there are bezels, but they are covered with the steel ring. You may think that's a more attractive way to hide the bezel (and I think you'd get a lot of agreement on that), but the fact remains that the bezel is there (although it is probably somewhat smaller). Not even close. Geometry may be difficult, but the rate of shapes are absolute and should well understand. Also, mac_128's circle is only showing the footprint of the round casing—it's not showing you what the inset display would take up. 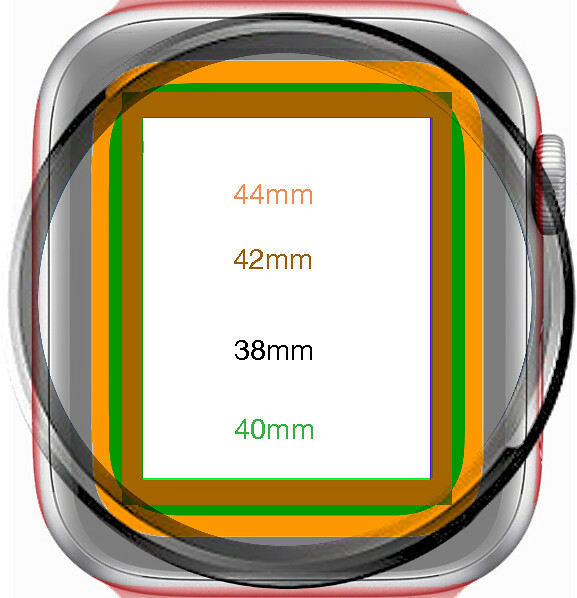 You can see in the image of the 44mm Series 4 Watch that the four corners extend far beyond the circle. The perception and acceptance of the 'perfect size' is a moving target. When the first iPhone came out there were many comments about it being ridiculously big for a phone. When the large Androids came out they just looked silly but now nobody bats and eye when you hold an 6" device to your ear. 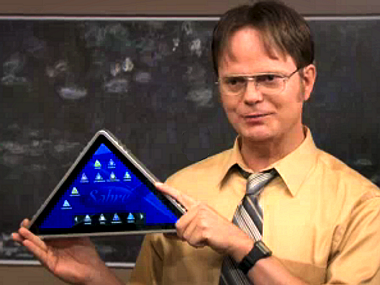 As Watches and tAndroid equvelants prove themselves to be ever more useful I am sure they will continue to grow. I am not sure Apple has a fixation with size (maybe it is you? ), they are just moving with the times. Design is not and never has been a 'fixed thing'. Not to evolve and develop = moving backwards. T'was always thus.